The Jaguar XF takes the award-winning model to the next level, accepting no compromise between luxury and performance. The Aluminium Intensive Architecture delivers a lightweight strength that provides an efficient and agile driving experience. Our advanced technologies ensure your safety, keep you connected and manage your entertainment how you like it. The All-New XF brings intelligence and innovation with the latest technologies that bring you to the peak of comfort and safety. Every journey in the XF will ensure you remain connected to the outside world, whether it's business or leisure, and will create unforgettable driving moments. XF offers Jaguar's unique All Wheel Drive (AWD) with Intelligent Driveline Dynamics (IDD) and Adaptive Surface Response (AdSR)* on diesel models. Exclusively developed by Jaguar, the unique IDD software features sophisticated algorithms to react intelligently to road conditions. The XF showcases an athletic body that is well defined and contemporary, yet beautifully curved to form an edgy design. The striking front grille and streamline bonnet reinforce the powerful saloon that it is. The profile has been highlighted by a single, elegant arc which follows the car alongside the length of the body and into the, F-TYPE inspired, wrap-around LED tail lamps. The unique design enables the XF to be sporty, modern and aerodynamic which is also considerate of fuel consumption and emissions. 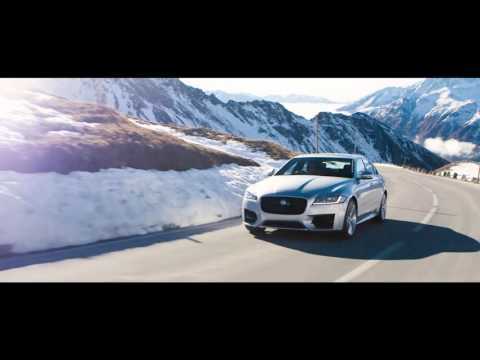 Boasting a near perfect 50:50 balance, the All-New XF is an impeccable ride. The Aluminium Intensive Architecture creates handling qualities on another level and the lightweight build ensures for maximum agility. It is surprisingly one of the lightest saloons in its class. As well as this it delivers a superlative torsional stiffness and an advanced front wishbone and rear integral link suspension system. These performance enhancers have been developed for years by Jaguar and the All-New XF is flaunts them perfectly.